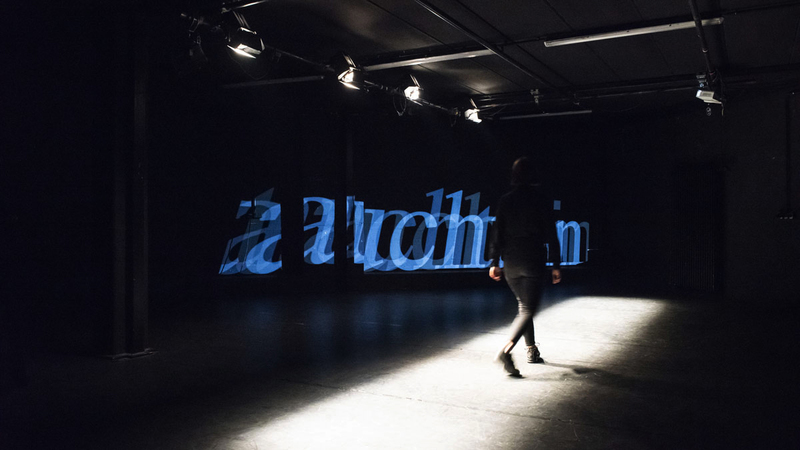 A projected text line’s height is approximately the same as the human body height, so only one section is visible at a time. While pacing off the surrounding area alongside a light trap, movements are captured by a webcam. Using this information, a computer program defines the horizontally position of the text, which acts simultaneously to the viewer’s body. Increasingly, the familiar screen-navigation creates a reflection space which focuses on the interface between humans and machines.